Gently used convertible. Only 50,000 miles. Two owner Florida car. Great Xmas present! Cloth top. 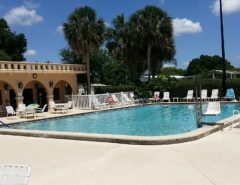 Completely remodeled, fully furnished and equipped. Golf cart included. Call 352 805 3683 for details. 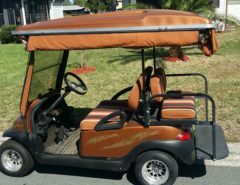 This golf cart is new in box (unopened) retails in pro shop for over $200. Bought a year ago-never used. Queen Size headboard, footboard and sideboards in excellent condition. Solid wood with rattan inset. Nice for gift or travel has different compartments and small mirror.